3002 - Pair of Brass and Crystal Wall Sconce. 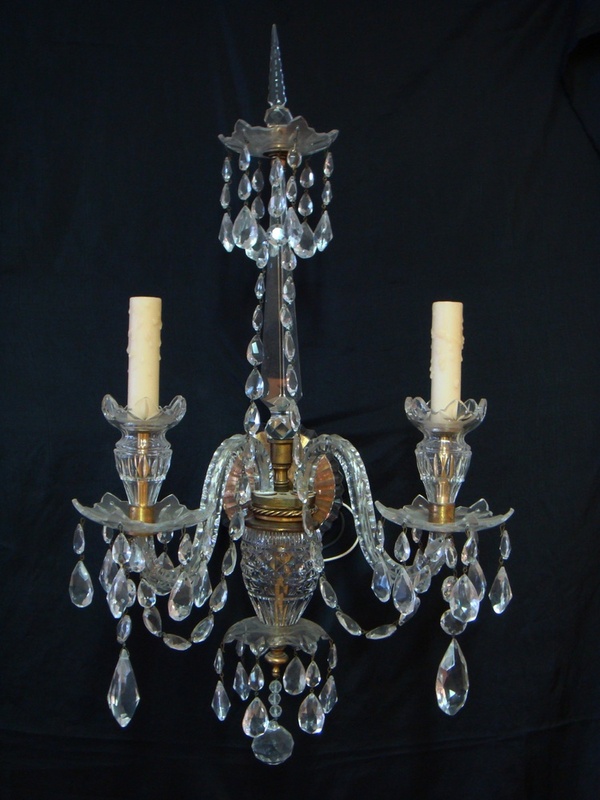 Two candelabra light each. Excellent Vintage Condition.